Welcome King Duzu. It's great to have some royalty around here! Help yourself to the free bar. I love linux mint, therefore i have disabled adblocker+ on linuxmint.com. You should do the same. We haven't had any kings in this forum, so it is indeed an honor to see you here. MERRY CHRISTMAS TO ALL OUR MINT FRIENDS. LET US ALL PRAY FOR A BETTER, HUMANE WORLD! Oh, dearl lord, there's a senator (R-Idaho) named Mike Crapo, who's in the news today because of a DUI charge against him. Methinks he's missing a "'p" from his surname. If you're not sure what you are doing... then you're in good company!!! Beam and Sprite for me. They go together like ding and dong. Merry Christmas and happy new year to all the Mint users, developers and curious people! Can you all believe it is already 23 January 2013? Welcome to the Mint Cafe, VaughanZA. A belated Happy New Year wish to you my friend. Oh, time flies. That can be either a good or a bad thing... The summer (i.e. holydays!) is nearer, but so are the exams. I've learnt I'm a Cinnamon type of fella! Yep... It's belting along... I'm looking forward to the summer, obviously the weather in the UK will be terrible, but, I'll be off on a big bird pelting towards Portugal, golf clubs in the holdall and a big fat grin on my face... as well as 3 cans of Stella for £10 on my foldy tray thing! 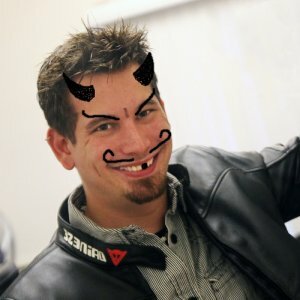 Host of the show Hak5, Darren Kitchen said on his latest show (dl) that he was using Cinnamon "unfortunately." What? It's a segment about laptop battery life, so perhaps he was referring to Cinnamon's memory usage, but he didn't elaborate; just "unfortunately." And they use Unity exclusively on the show, so I can't see Cinnamon being an unfortunate DE respectively. Just thought I should drop in for a beer and say hello to my old friends. Better order more beer, npap's back in town! Thanks my compadre. Erin Go Bragh! Just got back from the outdoors where my wife and I went looking for a four-leaf clover. No luck! The rabits were there before us. Come and get your drink before the remaining stock is completely depleted, folks. Lack of interest in the Cafe's activities on the part of our clients has forced the establishment to take severe austerity measures. No special funds are being alloted for the operation of the Cafe. It has been running on a tight budget by the contributions of our generous friends. Thanks to our most able bartender Kenetics, we have been able to operate well enough in the past.